On one very special day an imaginary friend is born on an island far away. Here, he and his other imaginary friends play all day and each night they sit beneath the stars, hoping and waiting for their turn to be picked, to be imagined, by a real child. But this particular imaginary friend waits and waits, and still no child imagines him. So he does the unimaginable â€“ he sets off into the real world. Once there, he searches so long that he is just about to give up, when a shy, bookish girl named Alice meets him. 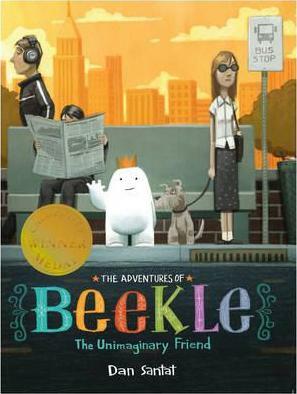 Gradually they discover they are perfect for each otherâ€¦ and Alice has the perfect name for her imaginary friend: Beekle.